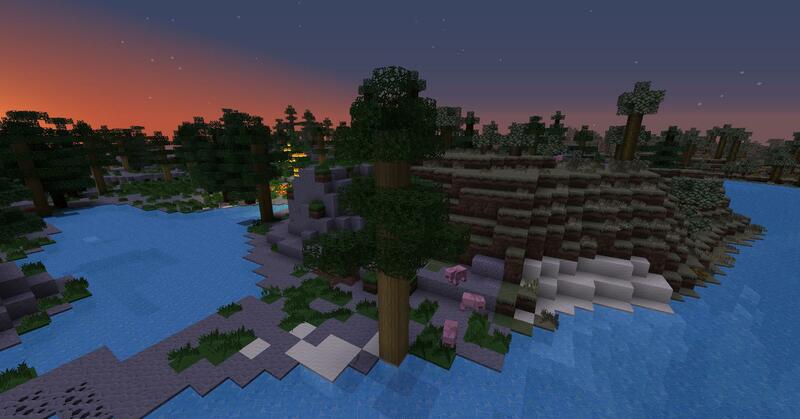 Biomes O' Plenty makes the Minecraft world much more interesting by adding many new biomes, blocks and items. 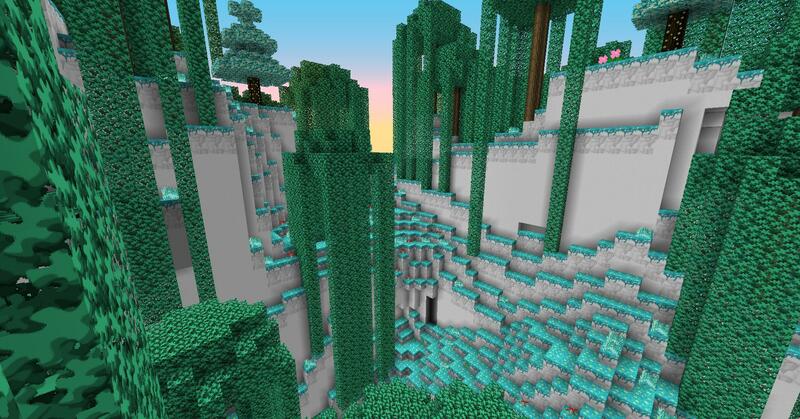 14:26 - 01/09/2014 - Add woods (sacredoak & mahogany); correction of the texture : honeycomb.png; correcting size : crystal.png, overgrownnetherrack1/2/3.png, earth.png, plank-hell.png; Renaming file "mods" to "mobs"
Last edited by Sir Oldie on 29 Oct 2013, 03:59, edited 42 times in total. Looked at your WIP today and noticed that the ores are missing. There is a WIP (First post on Page 3) here: http://bdcraft.net/community/pbdc-patch ... 15-20.html The download is in the post. 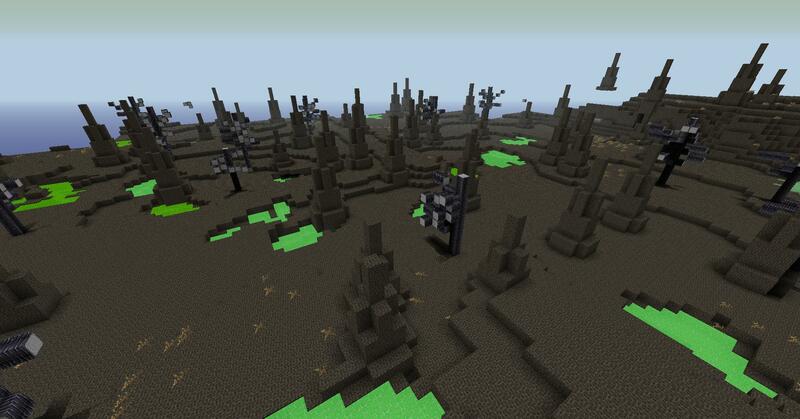 That has the ore blocks already added. Might be worth including those to save time. Yes! Good to see that someone finally decided to start proper work on this! 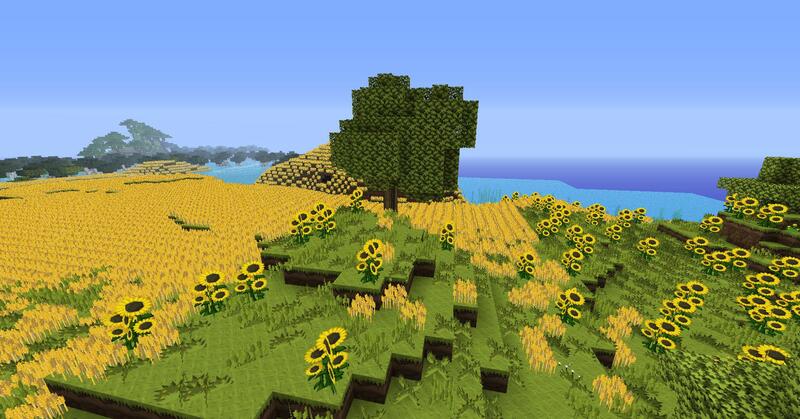 Well done in continuing these textures, updating the patch, and your excellent taste in television shows! Im definitely in for working with you on this I had already started before I knew about it but YAY! Sent you a PM with my stuff. I did all the gems last night. I went with a square gem texture that had already been made so they are different than the round versions of Ruby and sapphire. 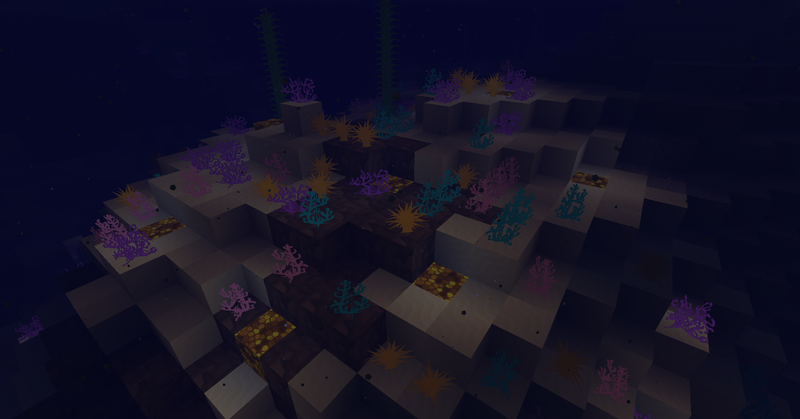 Then I coloured them based on the colors from the Vanilla textures. They turned out pretty slick!! I couldn't get dropbox to install on my PC last night so will try again today. Or if you want to pm me I can zip them up and email them to you. Will try to post a screenshot tonight as well. I should have updated this thread I guess with what I have completed? I don't want to cause anyone to do double work - but I have been working on this for a week or so pretty much non stop and am almost done. I apologize - I'm completely new to this process. Ill be working on this tonight as well - perhaps we could all work on particular pieces so not as to overlap? Ive been working on flora mostly - I could stick to that. I only have a few flowers and grasses to go. Heres a screen shot of the blocks and items that as to my knowledge remain un-textured. 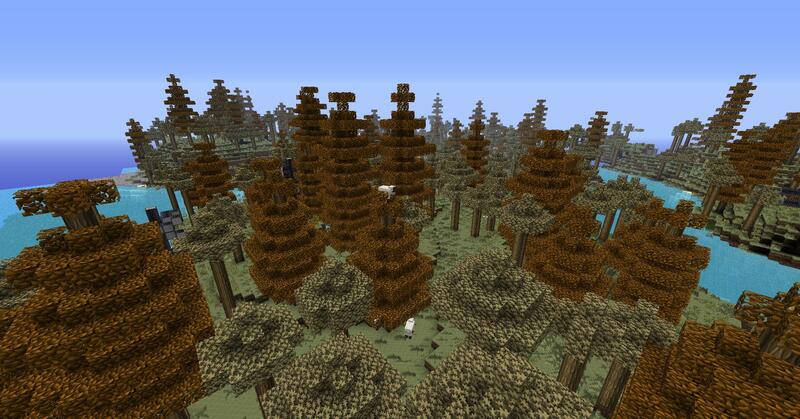 All of the mobs, projectiles etc I believe are already complete. Here is a link to the Gems I did if you wanted to check them out. Im going to post everything ive done then we can collectively decide which versions we wanna go with LOL - I like your gems! But I think they are kinda dark and different from the rest of the patch. I think theyd probably look real good with the grunge pack though - as a thought Heres one of the ones I did.... I tried to make all of my stuff look like the Sphax stuff and blend as seamlessly as I could. I like that gem!! 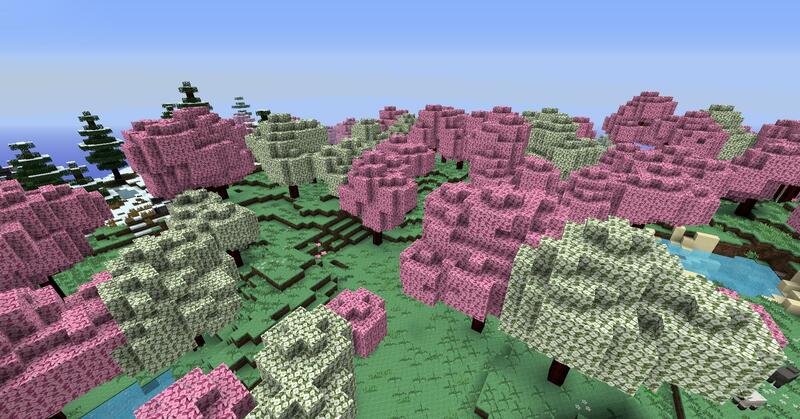 That is much closer to the feel of Sphax. 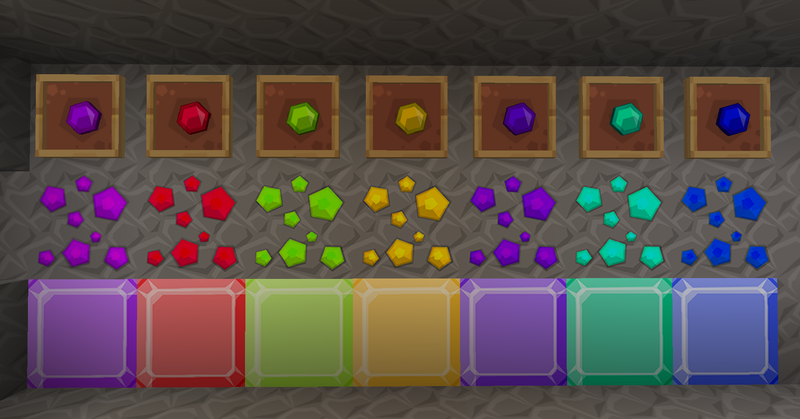 I just used an existing gem texture and recolored for the differnt types.